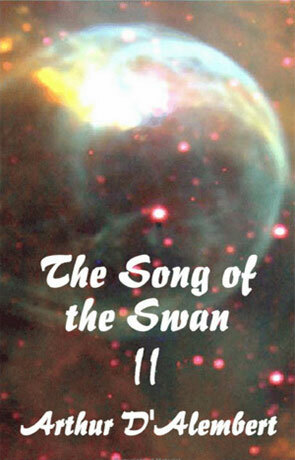 The Song of the Swan II is the sequel to The Song of the Swan by Arthur D'Alembert. This Part II is a direct continuation of the first Song of the Swan even if it takes place fifty years later. As that it's kind of uninteresting if you haven't read the first part, but then again it's interesting to know whether part II is interesting before you start on Part I. My printed copy of Part II has as many typos and printing errors as in my old copy of Part I (I've since received a new and edited copy), which is quite disappointing. D'Alembert really needs to find somebody who can pro-read his scripts for him before they get to the printers. Than again these errors are minor and can be ignored and the story it self is just fine, even if some of the dialog is kind of stiff in places. D'Alembert has an interesting story to tell and he handles the added complexity and length (275 pages) of this story very well. Written on 1st May 2000 by TC.